Donna and her husband have been collecting and selling vintage items online for over 10 years. 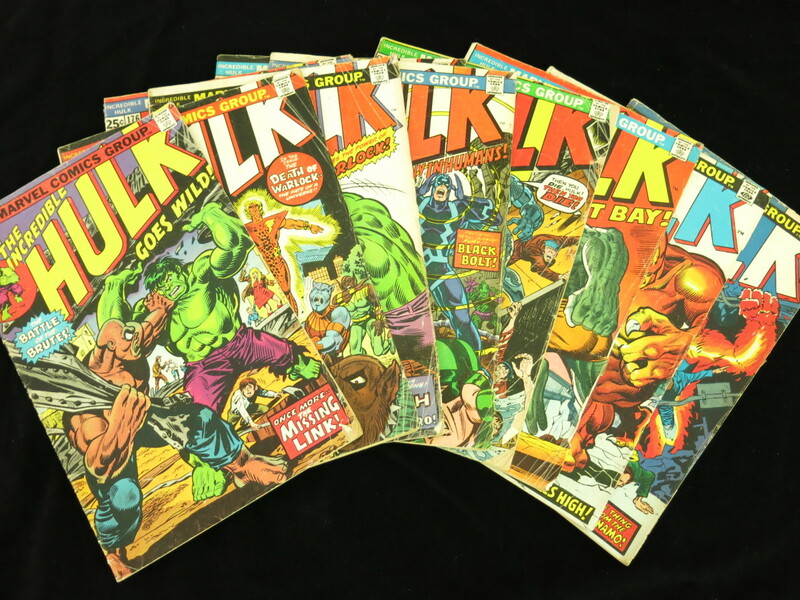 Trading and selling vintage comic books can be a fun hobby and a lucrative business, but these items need special care when shipping to preserve their valuable condition. 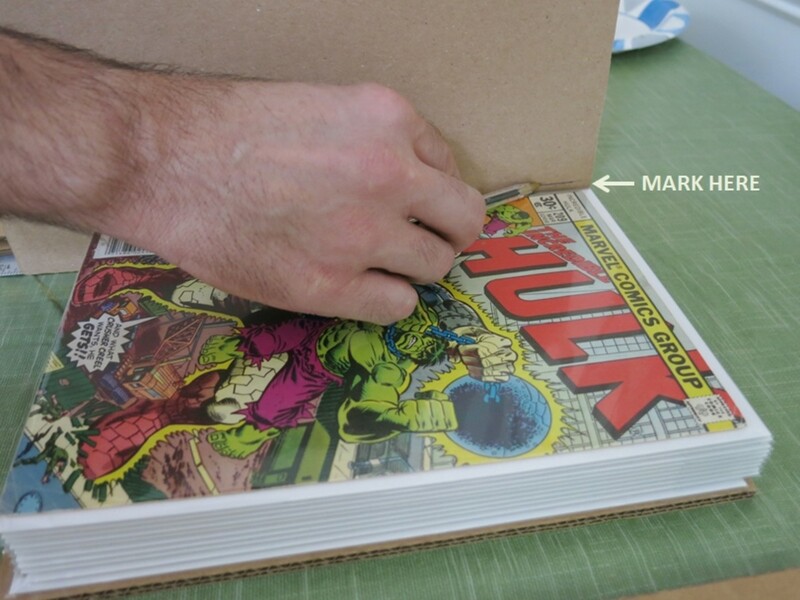 These step-by-step instructions show you how to properly package comic books for shipping. This tutorial can be used for any periodicals or flat paper goods. This process may seem time consuming and involves purchasing a number of materials. Therefore, the cost of your time and these supplies should be figured into your fee if you are charging for shipping. These steps may also seem overly involved, but if buyers are paying a good price for these comics, you'll want ensure that they arrive in good condition. 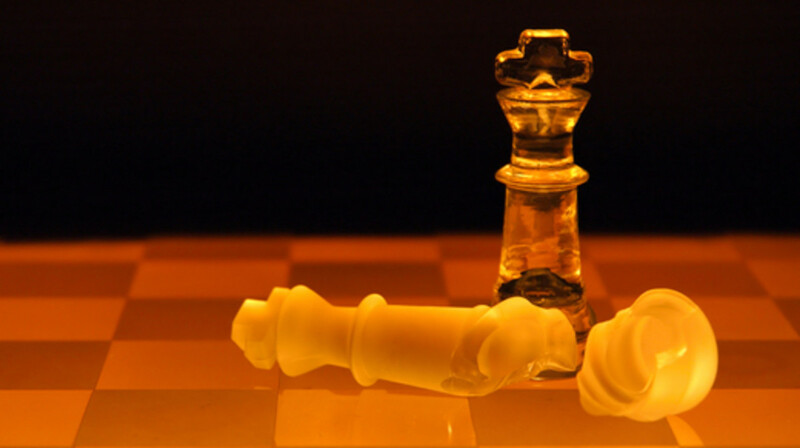 Proper packaging will help guarantee happy customers and positive feedback! 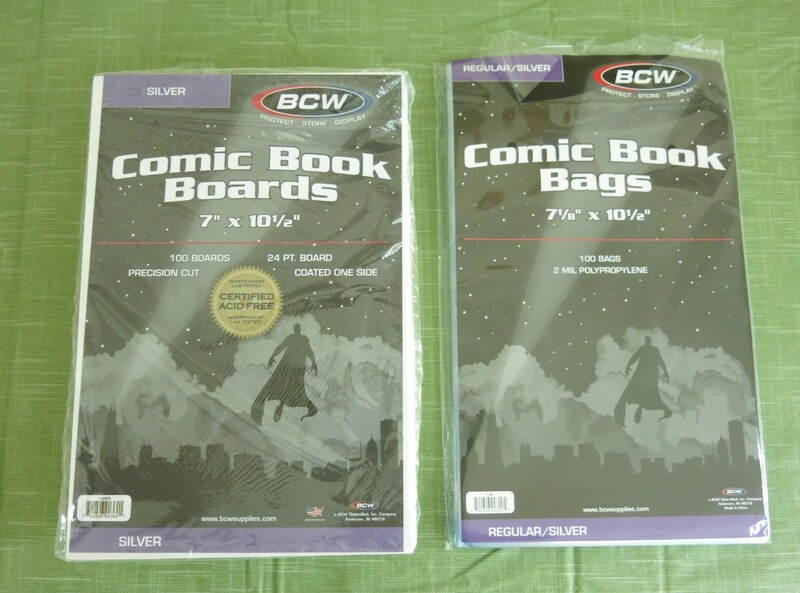 Acid free bags and backing boards - These bags and backing boards are sold together and available online and at comic book stores. They come in 4 sizes: Golden Age (for comics published between 1938 to 1950), Silver Age (for comics from 1956 to 1970), Bronze Age (for comics published between 1970 to 1985), and Copper or Modern Age (from 1985 to present). Be sure to buy the right size bags for your comics. 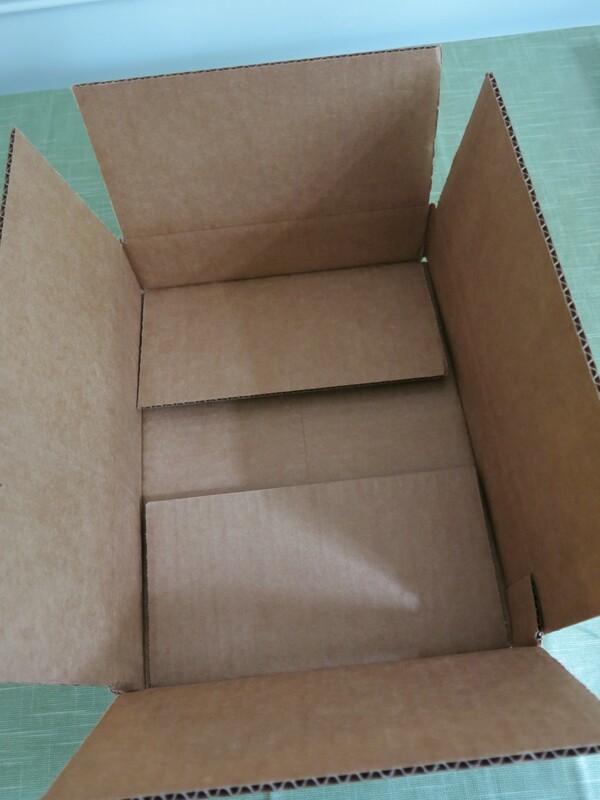 Large pieces of stiff, corrugated cardboard for inner box - Sheets of cardboard are available at most craft stores or you can recycle cardboard from your home or office. 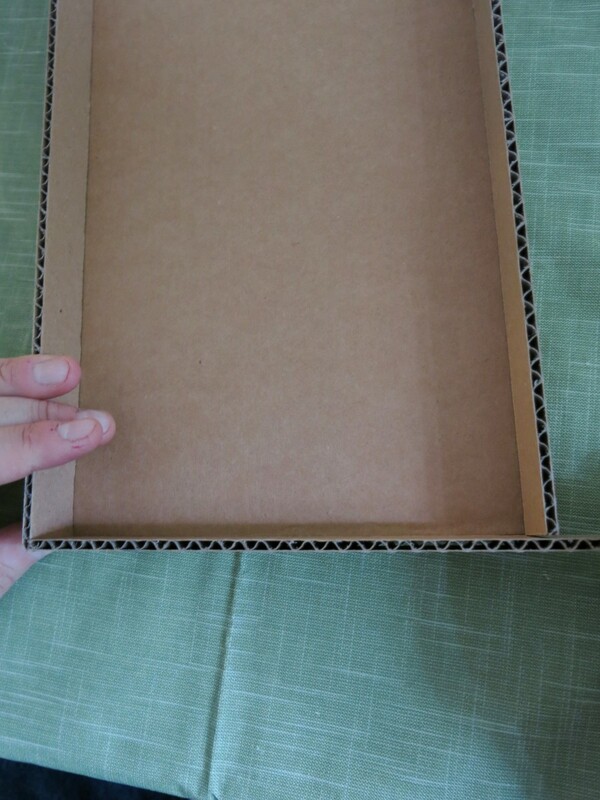 Smaller, thinner cardboard for building inner box - This is the kind of cardboard that cereal, cookie, or cracker boxes are made from. 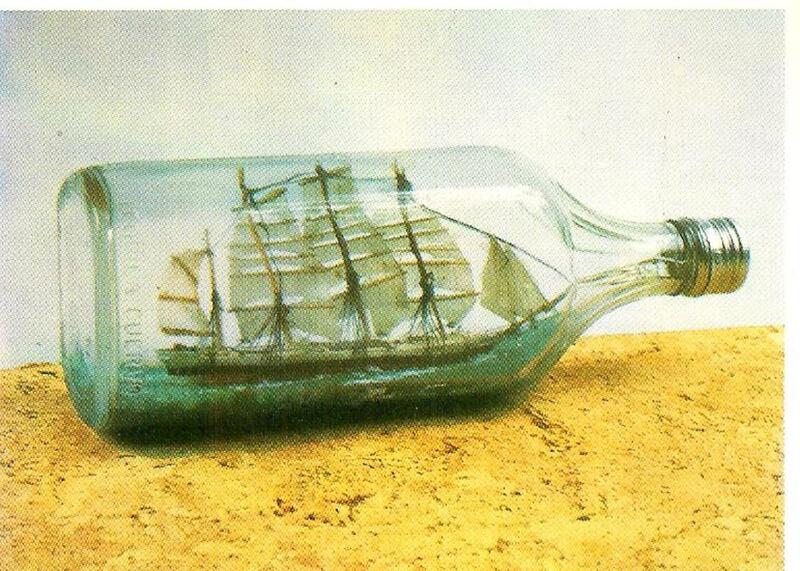 You can also buy this in sheets from a craft store, but I just use my recyclables from home. Hold the bag with the flap in the front. Slide the backing board into the bag so that the shiny side is facing up. I think it is easier to put the backing board in the bag separately from the comic book. Carefully slide your comic book into the bag. Make sure not to fold over any of the pages or bend the spine in the process. 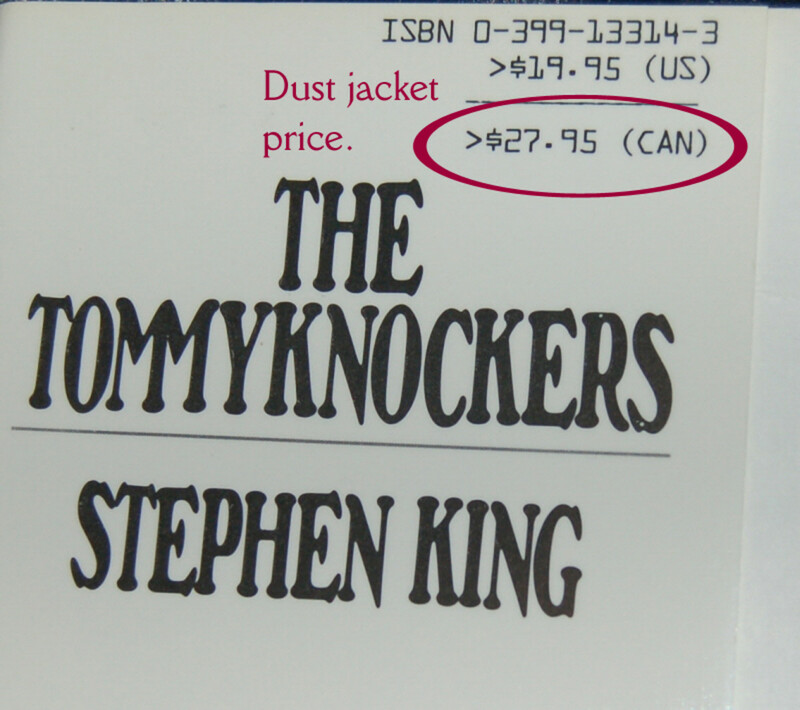 The back of the comic book should be lying straight against the shiny side of the backing board. Then turn the bag over and fold the flap towards the back. Secure the flap closed using two pieces of tape. 2. 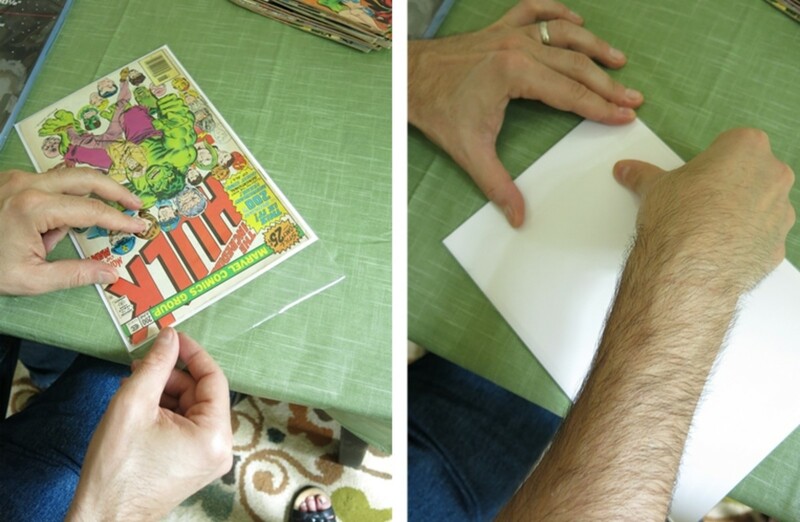 Measure the length and height of your comic book inside the bag. 3. 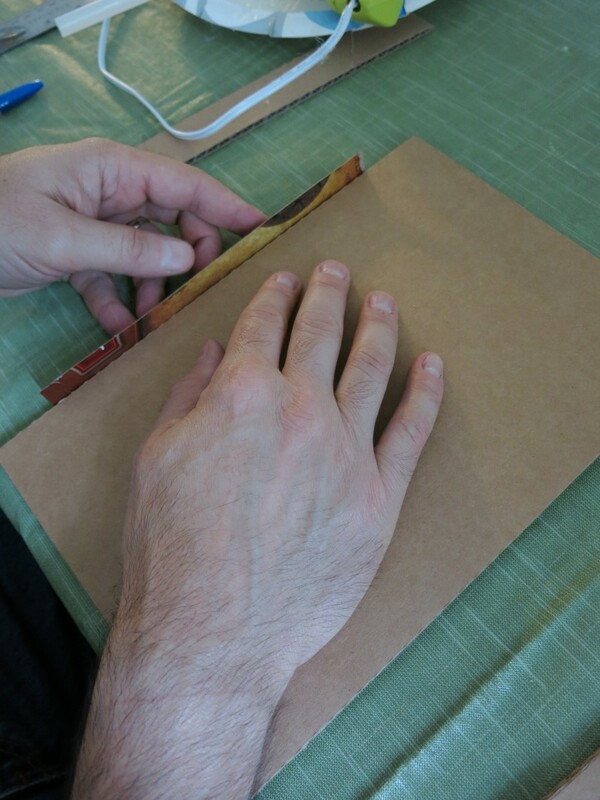 Using a utility knife and metal edge, cut two pieces of corrugated cardboard that are 1/2 inch longer and 1/2 inch wider than your bagged comic book. This will give you a 1/4 inch border around your comic when placed on top of your cut corrugated cardboard. 4. 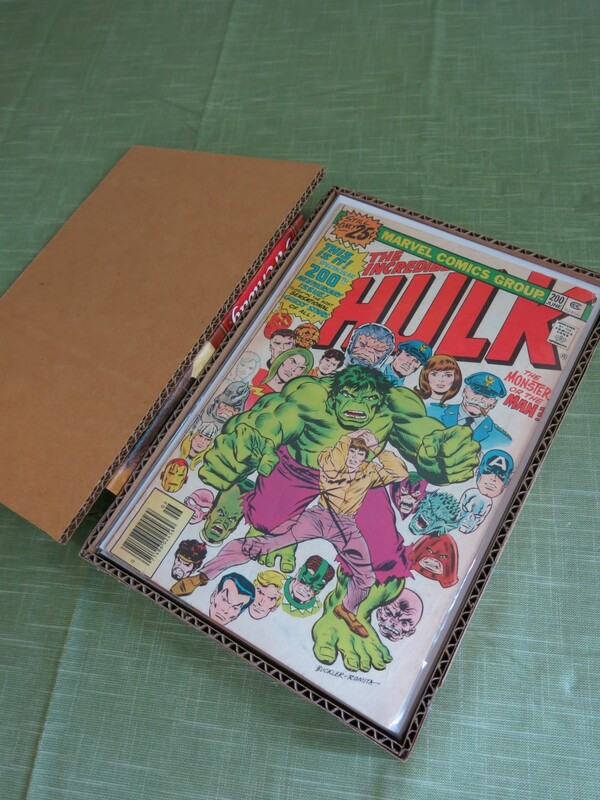 Sandwich your small stack of comic books between the two pieces of corrugated cardboard. 5. Using packing tape, tape your bundle together at the top, bottom, and on both sides. 6. Slide the bundle into a padded envelope. 7. Now would be the time to weigh and create your shipping form and label if necessary. 8. 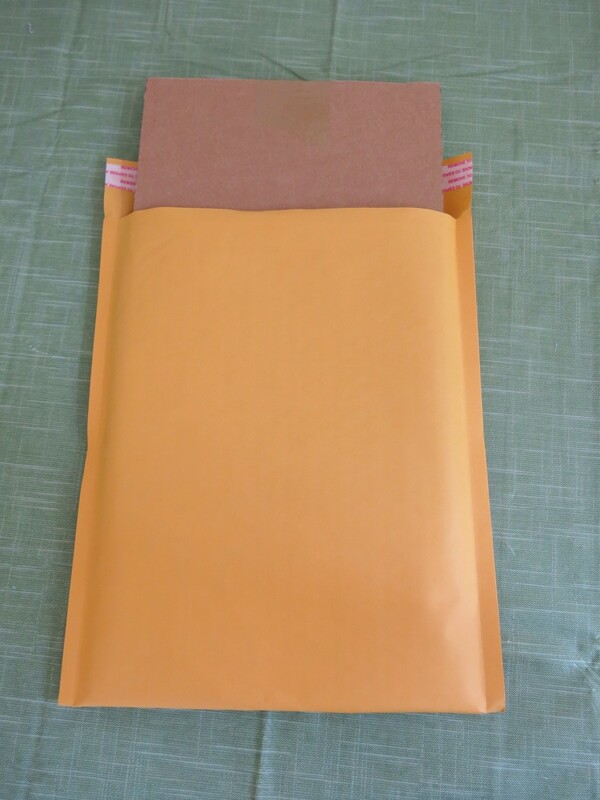 Seal your envelope when you have your package ready. 9. 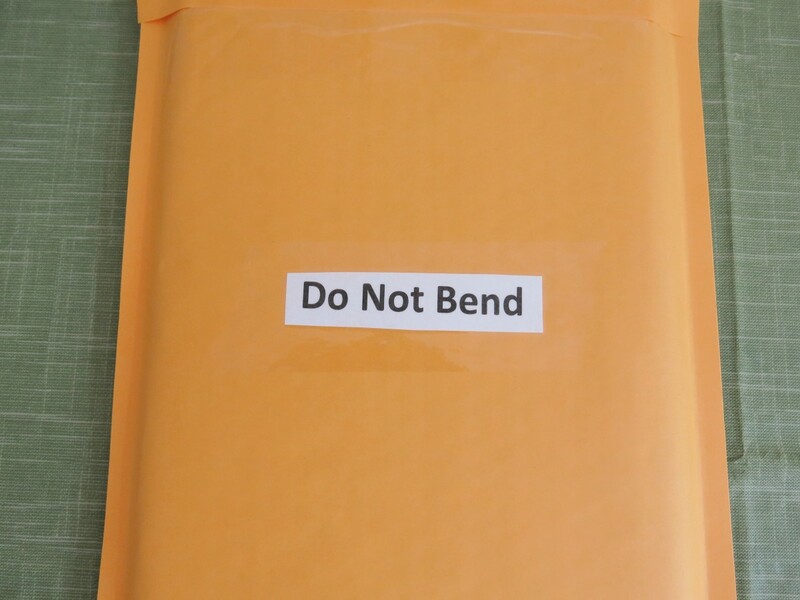 I like to add these "Do Not Bend" labels to the front and back of my package before shipping it out. 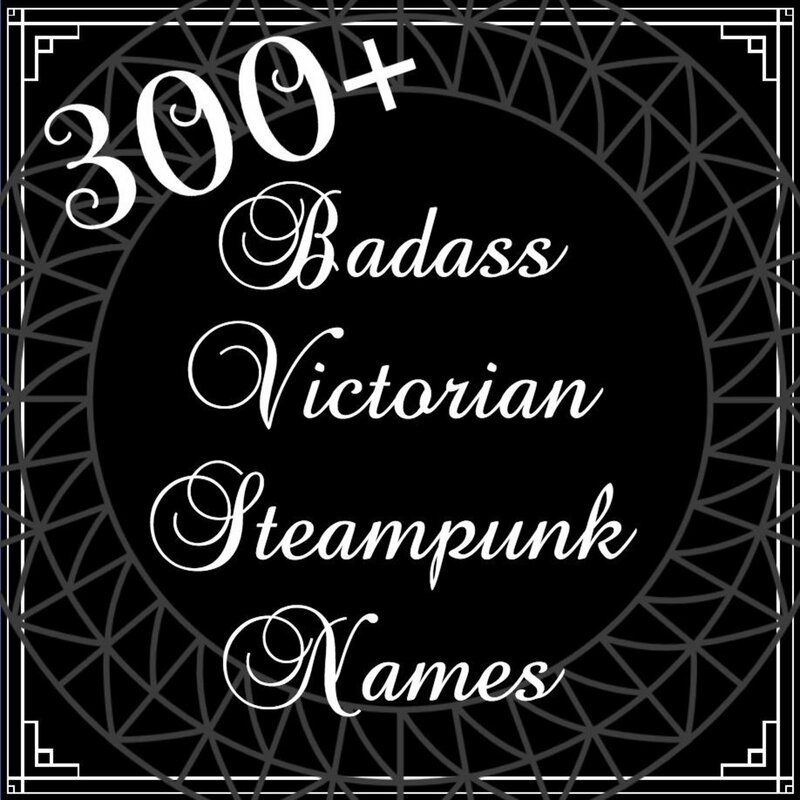 I made a page of these labels on my computer and cut them out as needed. 1. Follow Step 1 above to bag each of your comic books. 2. 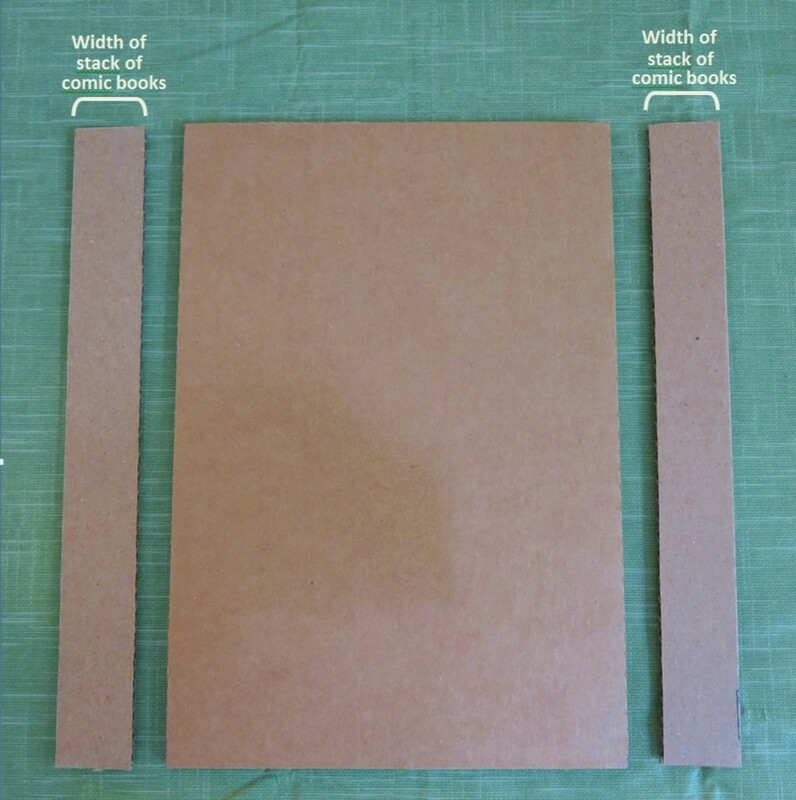 Follow Steps 2 and 3 to cut two pieces of corrugated cardboard that are 1/2 inch bigger than your bagged comic books. 3. Stack your bagged comics on top of one piece of your cut corrugated cardboard. 4. 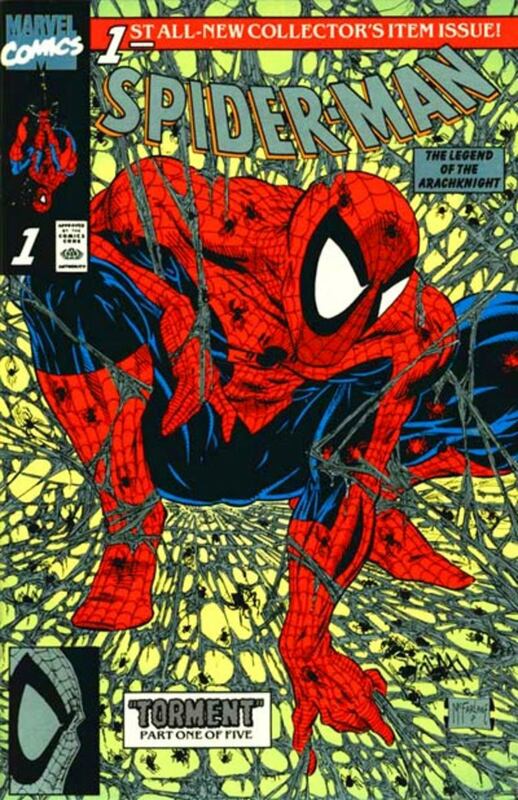 Take another piece of the corrugated cardboard and place it against the spine of your stacked comics. 5. 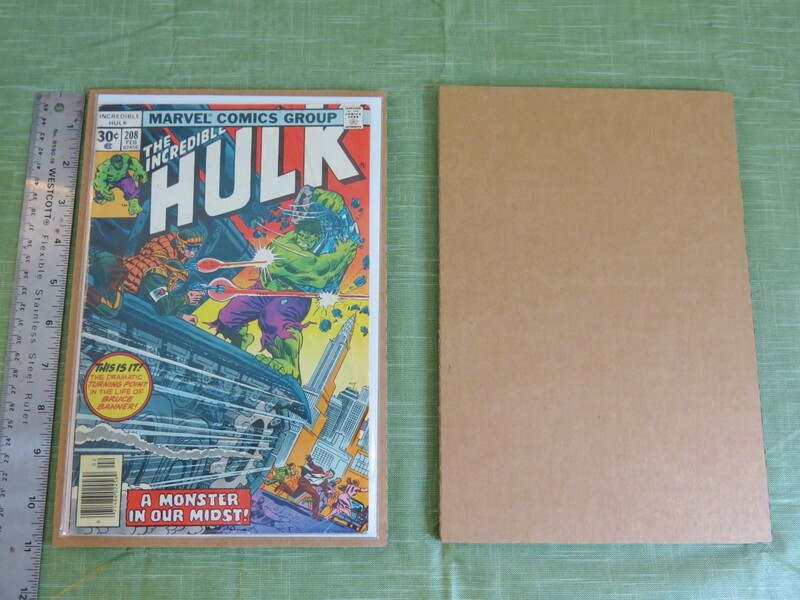 Using a pencil, make a mark on this piece of cardboard that is just slightly above the height of your stacked comic books. 6. 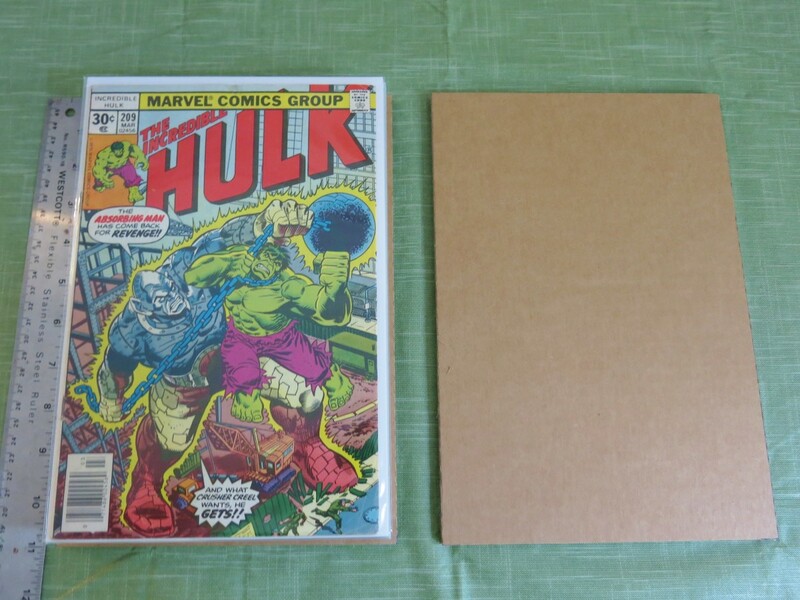 Now cut two pieces of corrugated cardboard that are the width of your stack of comics and are the same length as your bottom piece of corrugated cardboard. 7. 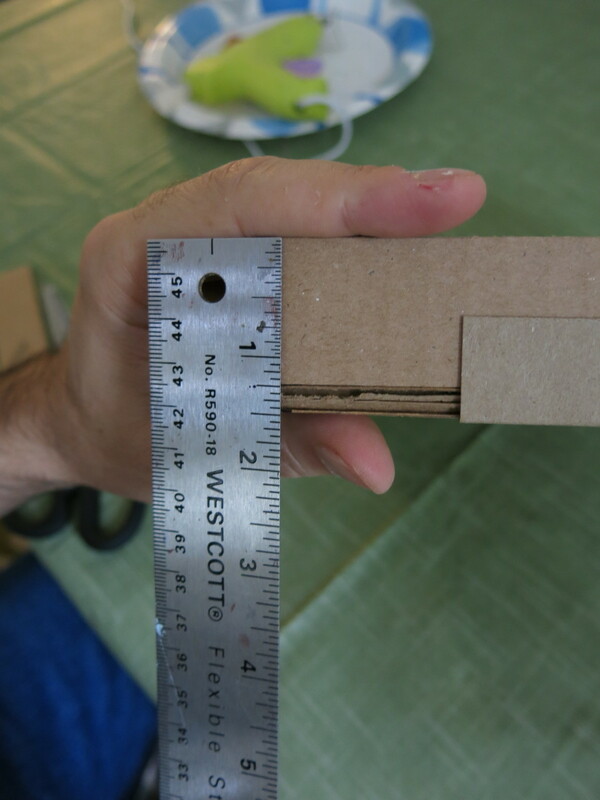 At the same time, cut two more pieces of corrugated cardboard that are the same width as the pieces cut in Step 6 and a couple inches longer than the top and bottom measurement of your base piece of cardboard. 8. Now take your thinner cardboard and cut two pieces that are about 2 inches wide and about 7 inches long. 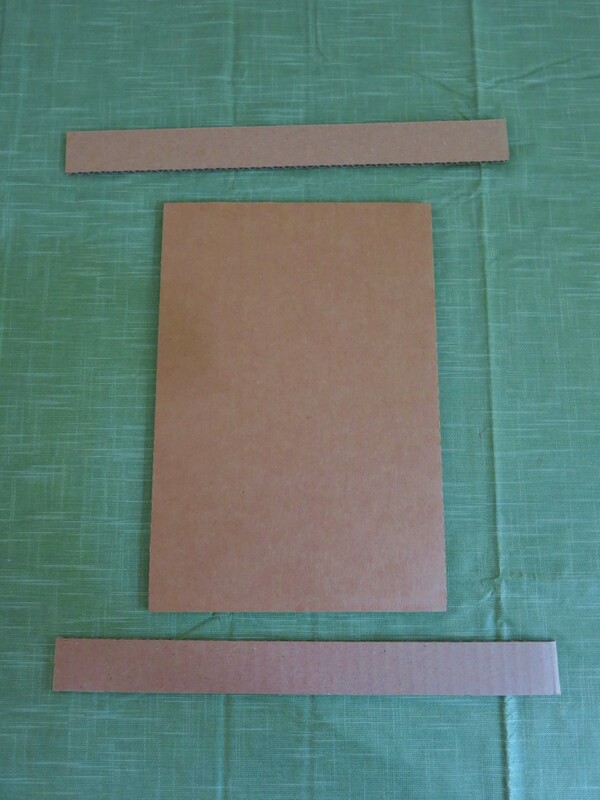 Fold these pieces of cardboard in half lengthwise. At this point, move your comic books aside so they don't get damaged in the assembly and hot glue process. 9. 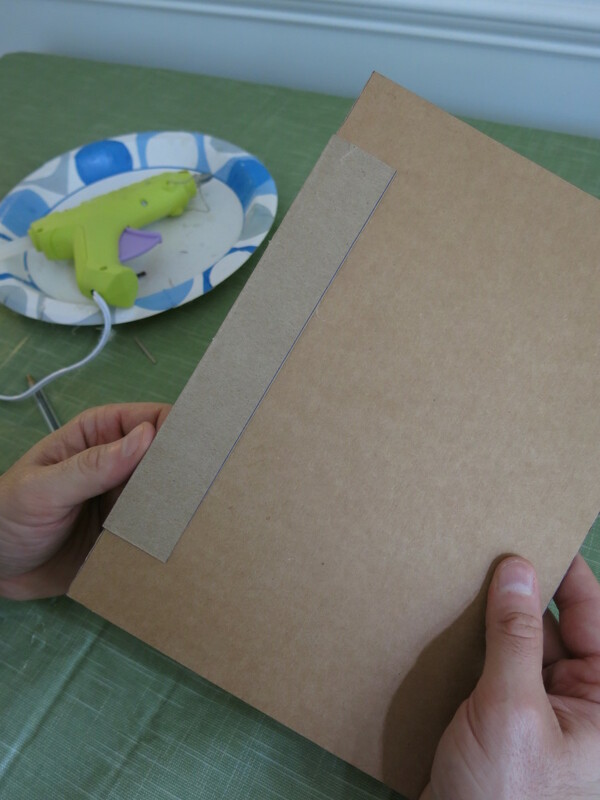 Holding your folded piece of thinner cardboard, put a heathy dose of hot glue along one side of the fold. 10. 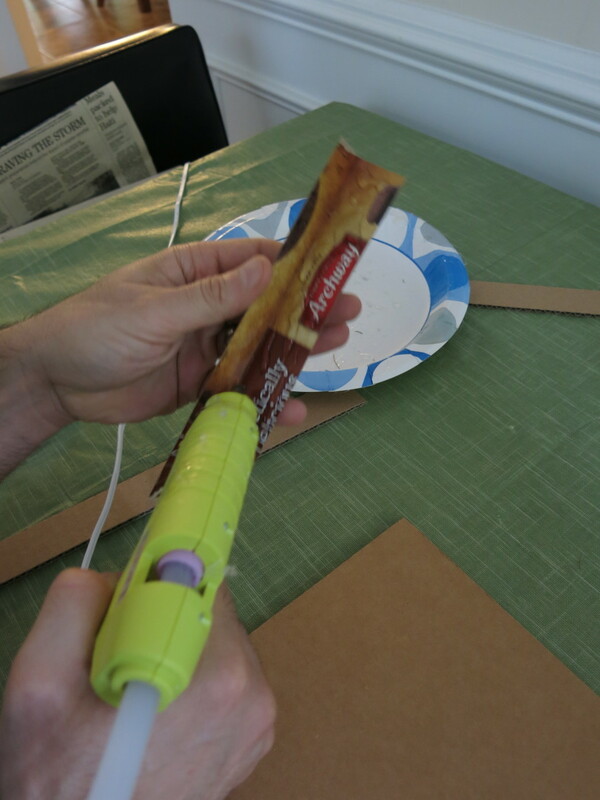 Put the hot glue side of your folded piece of cardboard under your base piece of cardboard in the middle of the longer side so the the unglued side sticks up like a flap. Press the glue flap firmly against the bottom of your flat base. 11. Next, hold your cardboard base so the your unglued flap is against your work surface (see above). Carefully apply a line of hot glue along this flap. 12. 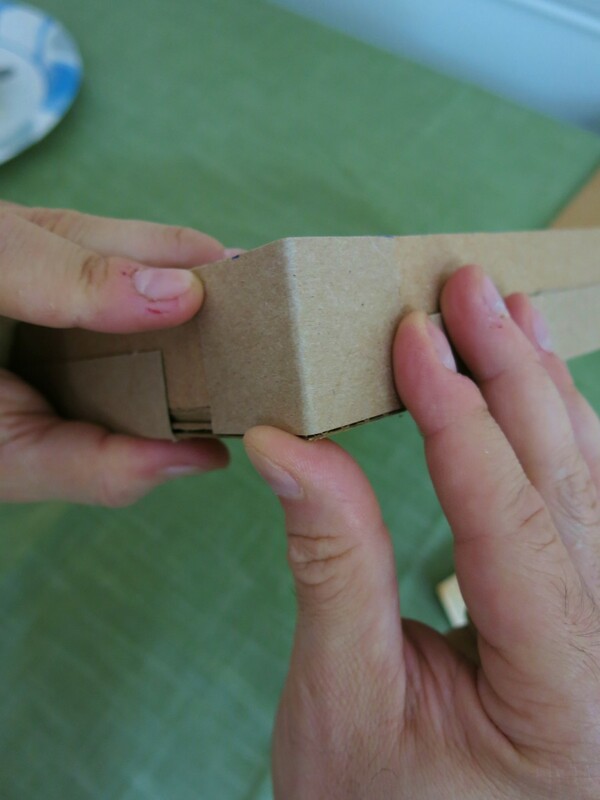 Take one of the smaller pieces of corrugated cardboard that you cut in Step 6 and press it against your hot glue strip so that it lines up and creates a side to your box. 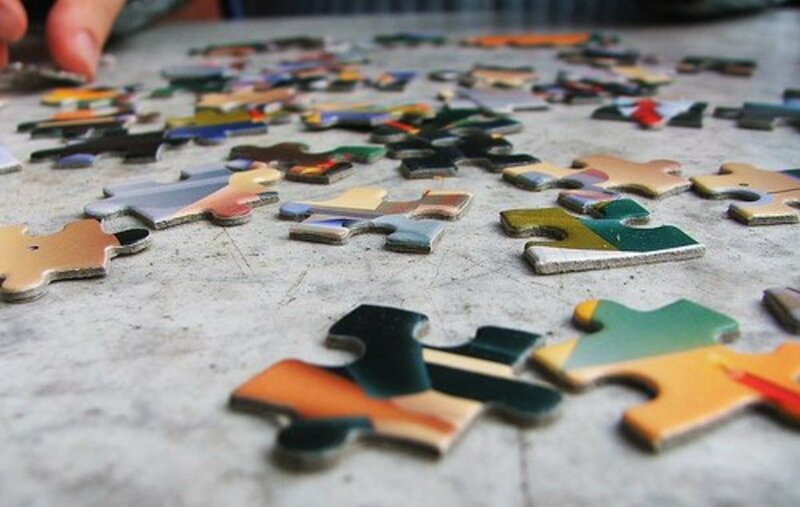 Press these pieces firmly together and make sure that your side stands at a right angle to your base piece. 13. Repeat Steps 9 through 12 to attach the opposite side to your box. 14. 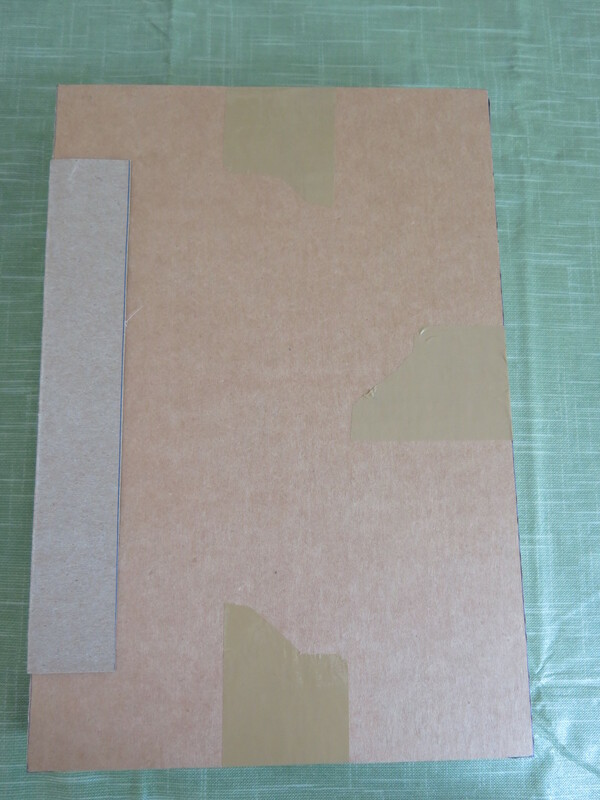 Now hold one of the pieces of cardboard that you cut in Step 7 against the bottom edge of your box. Measure and make a mark where this piece fits between the two sides of your box (see above). 15. 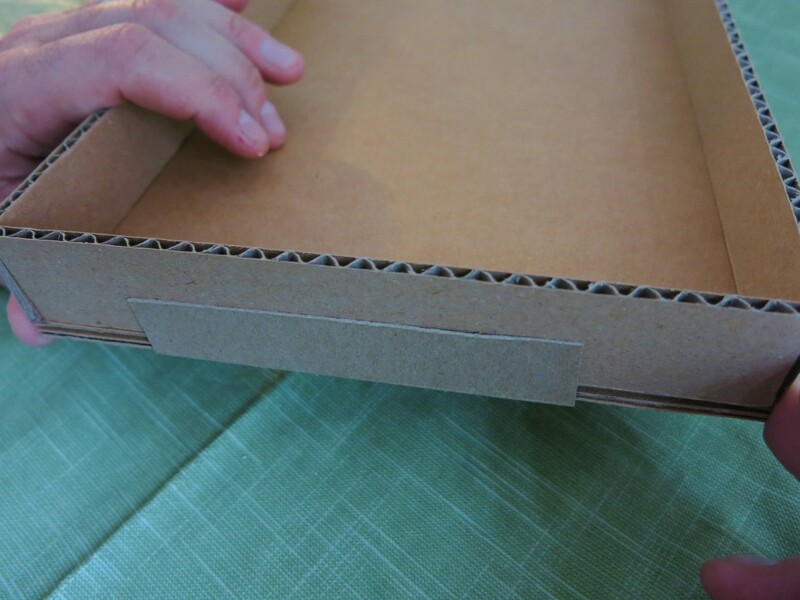 Cut the two pieces of cardboard from Step 7 so they fit along the top and bottom of the base of your box. 16. 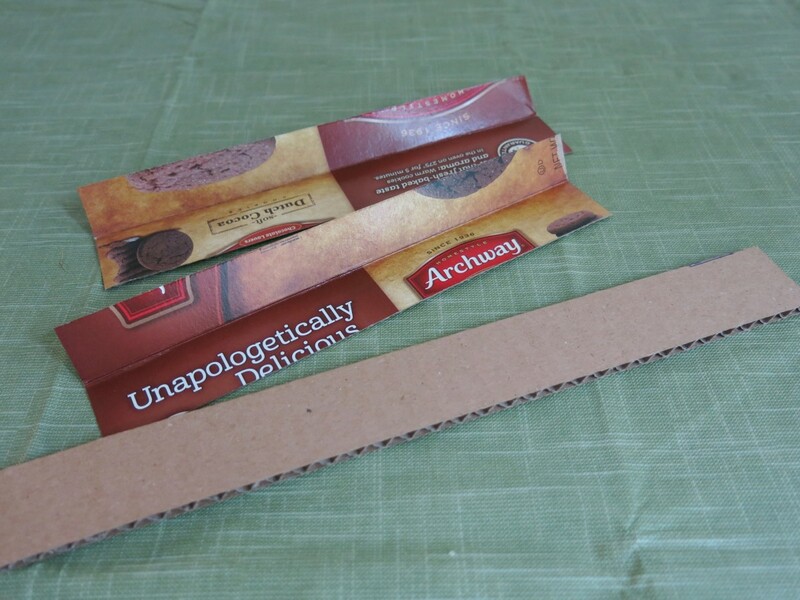 Take a piece of your thinner cardboard and cut two pieces that are about two inches wide and about 5 inches long. 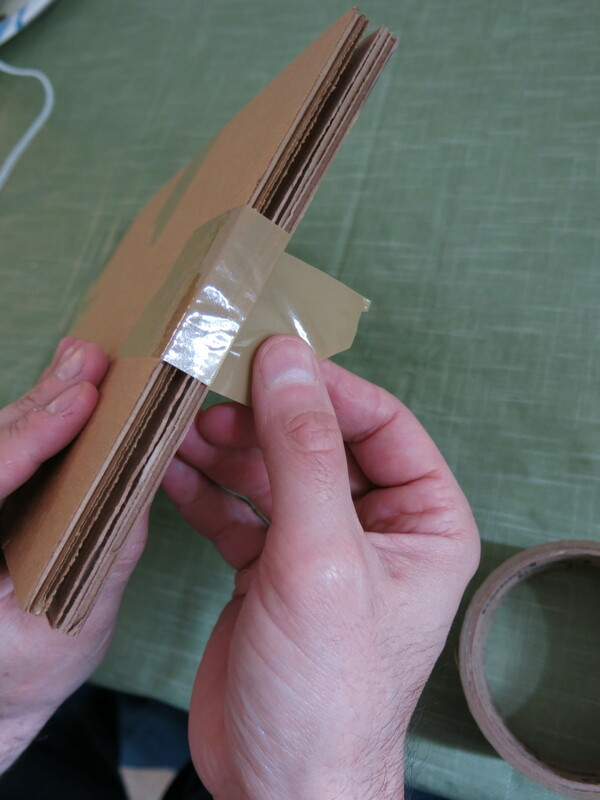 Fold these thinner pieces of cardboard in half lengthwise. 17. Follow Steps 9 through 12 to attach the top and bottom pieces of cardboard (from Step 15) to your box base. 18. Measure the depth of your box including the base. 19. 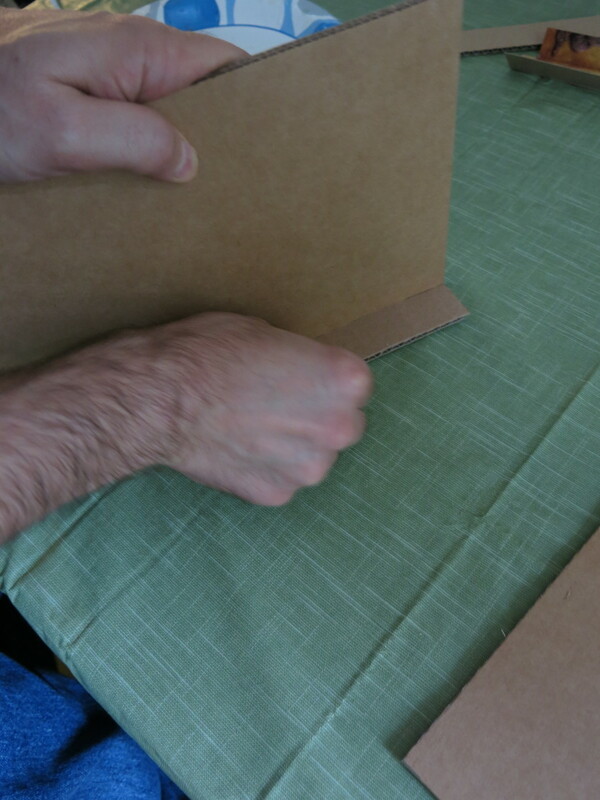 Cut 4 pieces of thinner cardboard that are each about 2 inches long and the same height as the depth measurement from your box. You may need to trim these pieces a bit to get them to fit without overlapping your other pieces of reinforcing cardboard. 20. Fold these pieces of cardboard so that each side is about an inch long. 21. 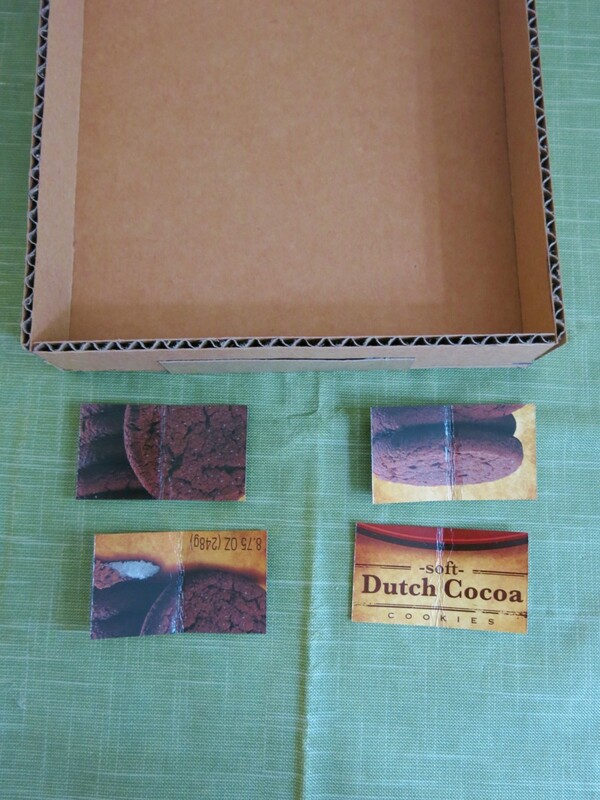 Using hot glue, place one of these smaller pieces of cardboard on each corner of your box to join the sides together. 22. Now you should create a top for your inner box. Cut a piece of thinner cardboard that is about 2 inches wide and about 7 inches long. Fold it in half lengthwise. 23. 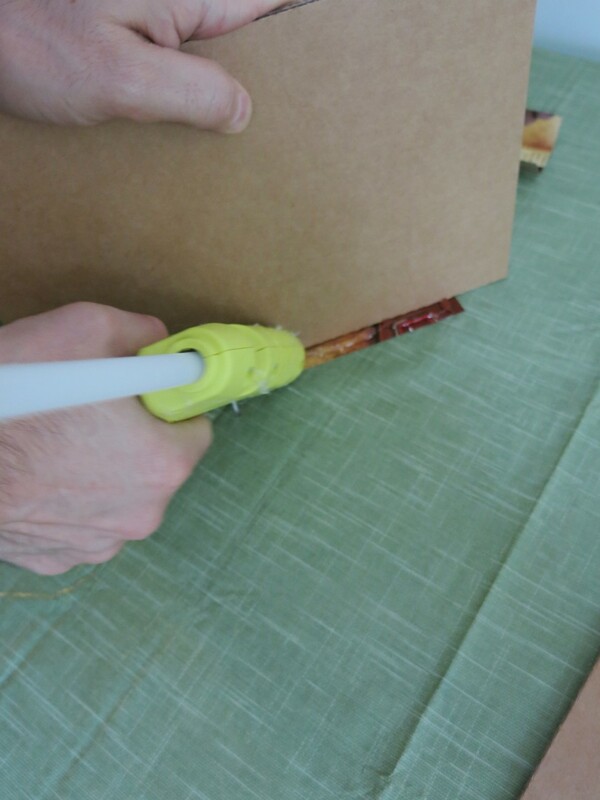 Take your other piece of corrugated cardboard that was cut in Step 2 and attach it to the top of your box following Steps 9 through 11 and using the thinner cardboard cut above. 24. Make sure there isn't any hot glue that has dripped inside your box. Then carefully place your bagged comic books inside for shipping. 25. Tape your inner box closed using packing tape at the top, bottom, and open side. 26. Now make up an outer shipping box by sealing the bottom with packing tape. A two inch depth box should hold 10 comic books. More than that will need a deeper box. 27. Put some newspaper or bubble wrap at the bottom of your shipping box. Then place your comic book box inside your shipping box. 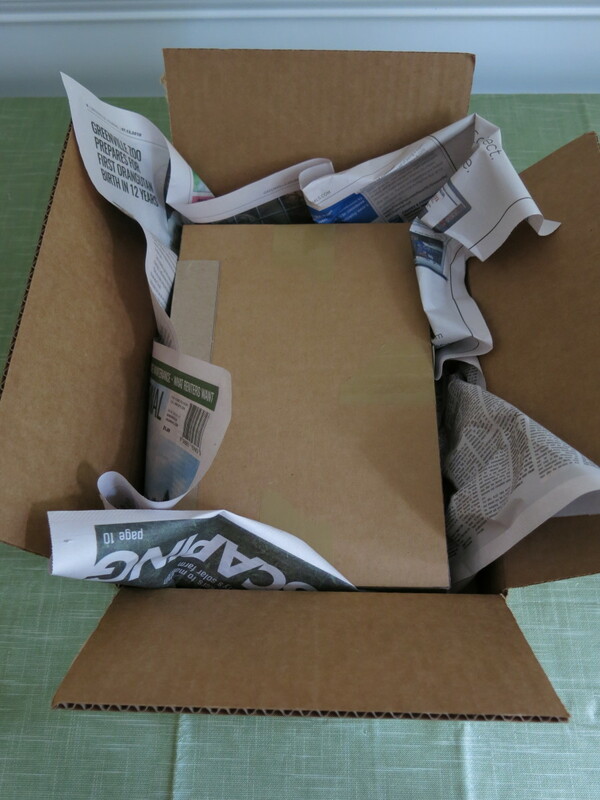 Fill the box on the sides and top with more packing material so that your inner box is snug. 28. Now weigh your filled box and create your shipping form and label if necessary. 29. 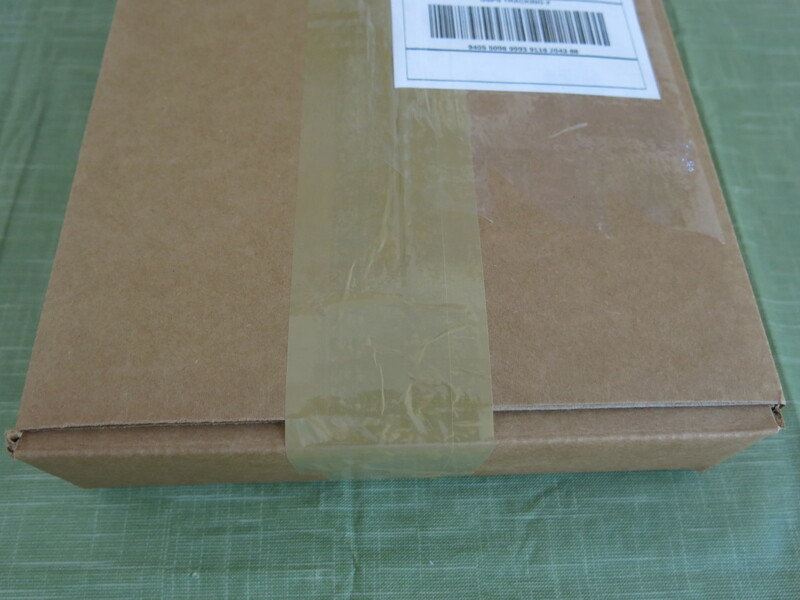 Use packing tape to firmly seal your box and attach your shipping label. Hi Claudia - Yes, this packaging is a multi-step process. 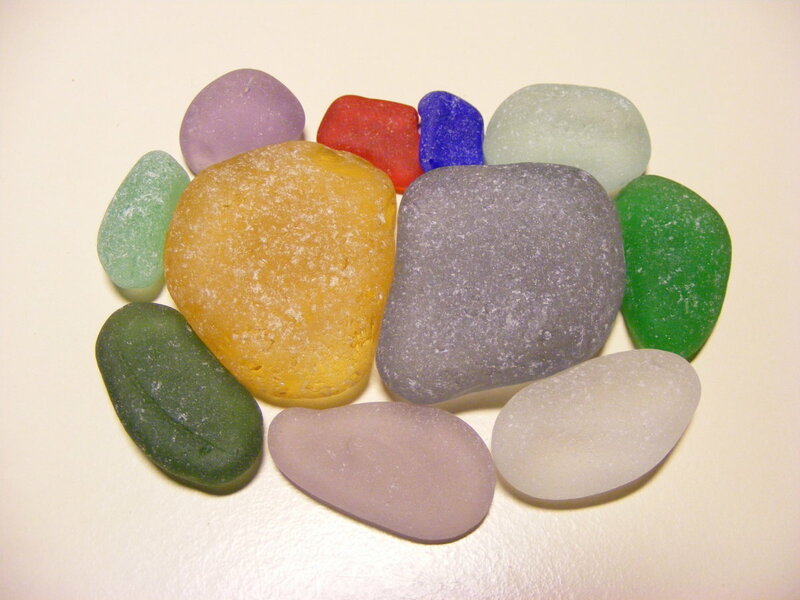 But we've gotten great feedback and customers have mentioned that they appreciate the quality packaging in particular. Thanks so much for your comments! Thanks, Jill! So glad to hear from you. Hope you are having a wonderful summer. Thanks for stopping by and commenting! I appreciate it! Wow Donna - That's a lot of steps, but obviously it's a necessity with the value of some of the comic books. I got a delivery from Amazon a few days ago and it rattled around in a box that was far too large. Interesting article! Like your articles, your projects are so perfectly clean and neat. Good information for sellers to bookmark and refer to. Hi Heidi - My husband is the buyer and seller of comic books. I mainly handle the shipping and receiving. My husband has bought some pretty expensive comics that were shipped just in a padded envelope and then was folded in half to fit in our mailbox. It's unfortunate that some sellers don't take more care in shipping these items. It's not fair to the buyers. I hope this article shows how these items should be handled. Thanks, as always, for stopping by and commenting!